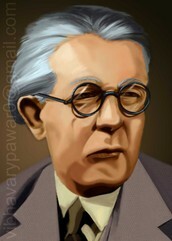 Jean Piaget (August 9, 1896 to September 6, 1980) was a Swiss developmental psychologist and philosopher. His studies of learning in young children led to the development of the constructivist theory of knowledge. This linking of human experience, behavior patterns and learning has had a major impact on education theory. It is concerned with children, rather than all learners. It focuses on development, rather than learning per se, so it does not address learning of information or specific behaviors. 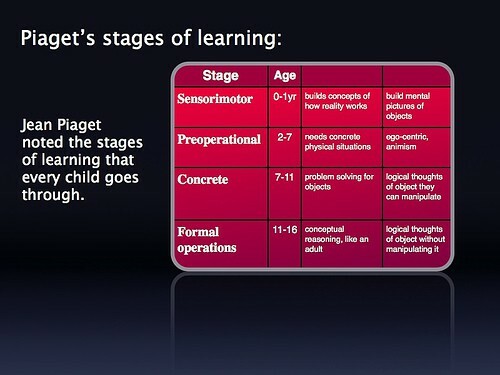 It proposes discrete stages of development, marked by qualitative differences, rather than a gradual increase in number and complexity of behaviors, concepts, ideas, etc. Jean Piaget died of unknown causes on September 16, 1980, in Geneva, Switzerland. He was 84 years old. He was educated at the University of Neuchatel where he majored in psychology. He earned his PhD in 1918 and he accepted a teaching post at a boys' school in Paris, France run by Alfred Binet.